Gold Beach was the code name for one of the central D-Day landing beaches that Allied forces used to invade German-occupied France on June 6, 1944, during World War II. 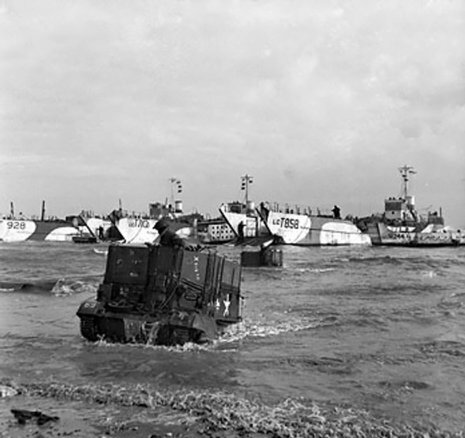 Gold Beach lay in the invasion area assigned to the 50th (Northumbrian) Infantry Division commanded by Major General Douglas Alexander Graham, and the British 8th Armoured Brigade of the British 2nd Army, under Lieutenant General Miles Dempsey. Gold Beach had three main assault sectors – these were designated (from west to east): Item, Jig (split into sections Green and Red), and King (also in two sections named Green and Red). A fourth named How was not used as a landing area. 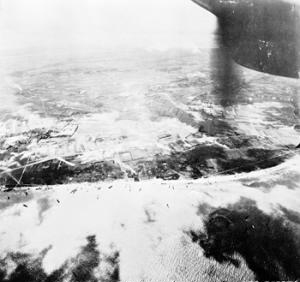 The beach was assaulted by the 50th (Northumbrian) Division between Le Hamel and Ver sur Mer. Attached to them would be elements of 79th (Armoured) Division. The 231st Infantry Brigade would come ashore on Jig Sector at Le Hamel/Asnelles and the British 69th Brigade|69th Brigade]] at King Sector in front of Ver sur Mer. Number 47 (Royal Marine) Commando, attached to the 50th Division for the landing, was assigned to Item sector. 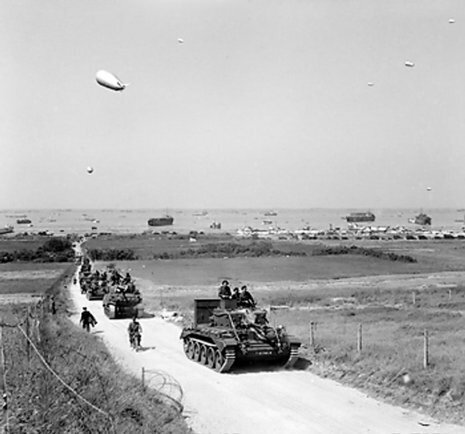 The British and the Canadians were supposed to land on the beaches stretching westward from the mouth of the Orne, code-named from east to west Sword (British 3rd Division, plus British and French commandos), Juno (Canadian 3rd), and Gold. 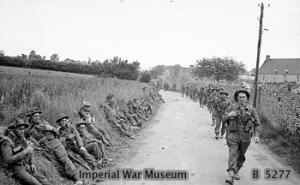 Gold Beach was the responsibility of the British 50th Northumbrian Division and the 8th Armoured Brigade. 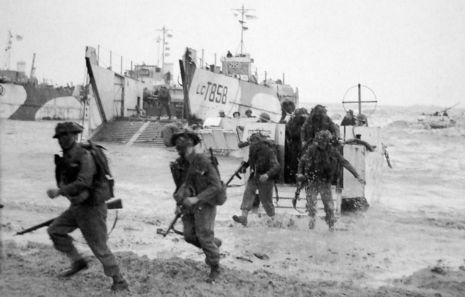 Accompanying them was a Royal Marine Commando unit who had to swing west and seize the nearby town of Arromanches as a base for the British mulberry harbor (Kemp 73). Another main objective was to take the battery at Longues-sur-Mer from the rear.